My Citi AAdvantage card doesn’t expire until February so it’s a little early for me to start thinking about a retention bonus. But, I read a post the other day over at Michael W Travels about a couple of retention bonus offers he received when he called to talk about his renewal options, and thought others might find it helpful. If you have any Citi AAdvantage cards that are coming up for renewal, you might want to check it out. While you’re there you should also take a moment to enter his reader giveaway for a 1 year membership tech based lost-and-found service for your luggage. And just in case you missed my earlier post, here’s how you can win a seat next to Randy Petersen at the StarMegaDO 4.
just called while waiting on a delayed flight. waived annual fee for five purchases. pretty awesome – thanks for saving me $95! Thanks for the mentions! Much appreciated! I called with the expectation to have the $95 annual fee waived. Instead I was offered $50 credit, I hung up and called back. The second time I was offered $95 credit. But then I asked if there was an incentive for me to use this card more, so on the top of the $95 credit Citibank rep offered 750 bonus after spending $750 each month for 16 months. I told that I’ll have to reconsider the offer because I already get double miles with Chase Sapphire for dining and travel expense, 5x with for hotel with Chase Marriott so if he has another offer with maybe more bonus miles, I’d like to hear it. He came back with 4x bonus with a limit of 20,000 miles and annual fee waived. I wasn’t sure I heard it correctly, so I asked him to repeat and it was exactly that. So I took the offer. I think sometime you have to push the envelop a little bit further. If you don’t ask, they don’t give. @ Michael W. Travel – Thanks for sharing your experience! @ Richard – I never thought to try that strategy, that’s really great advice. 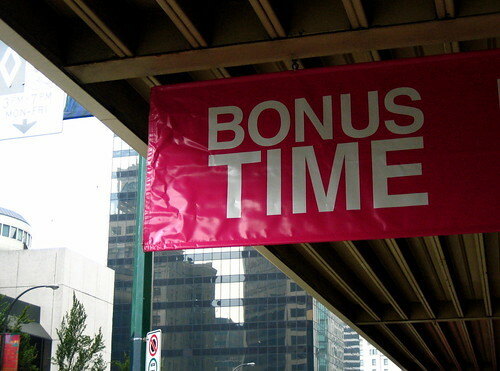 The thought of a 4X bonus makes me salivate….wow!